From Victoria, British Columbia, Neon High is a collaboration between singer/songwriter Kat Selah and multi-instrumentalist/composer Jon Baglo. 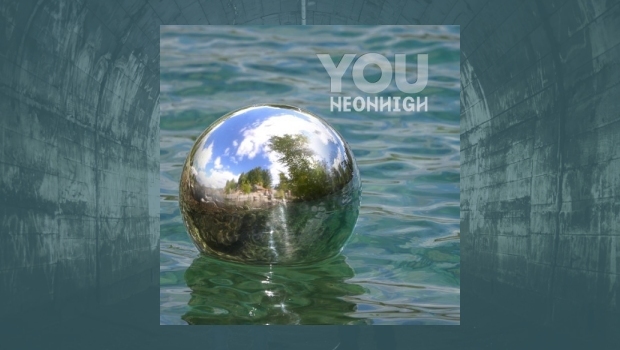 I found their new album, You, to be immediately enthralling, getting off to a warm and relaxing start with solo electric guitar on the Overture. Jon Baglo plays softly, as if he were sitting on the beach at Vancouver’s English Bay on a warm summer morning, watching the sun rise while contemplating the guitar solo from Pink Floyd’s Wish You Were Here. Tranquil and perfect. Then Kat enters to sing Born into Greed, a reflective song with moving lyrics that will hopefully inspire thought, she demands that you listen and take note. Kat’s voice is hard to compare to anyone else; she delivers straight ahead, with Baglo’s drums, bass and guitars supporting. A good rocker that delivers its message well. If you do need to compare, Kat sounds a little like a mix between Pat Benatar and Patty Smyth from Scandal. However, on Same Moon she sounds more like Mazzy Star or Suzanne Vega. This is a bouncy rocker with Kat singing about sunshine and Southern California, with Baglo supporting well on various instruments. In the Garden is another bouncy pop rocker song with cool orchestration, keys, bass and electric guitar. Selah’s voice sounds great when she sings, “Turn the lights on… now!”, another good relationship song, Baglo’s guitar solos filling the air with magic. Sober immediately hit me right from the opening. Acoustical reminders of the rhythm and harmony of the epic Classical Gas fills the soundscape. I have always loved this piece and Baglo’s acoustic guitar represents it well on this relationship rocker. Selah’s voice sounds a little like Taylor Swift on this track. Southern California is full of more of Kat’s wonderful acoustic guitar at the opening, her voice having a little Southern drawl, giving it a relaxed feel before Baglo joins in. When they hit the refrain, you can almost hear the inspiration from the band America. Quicksand opens with cool electric guitar and Selah’s voice, then beautiful Bruce Hornsby-like piano fills the air. Start a Fire is darker, especially when Selah’s opening vocal is “Trouble”. It’s a song about changing direction and refusing to take the difficulties that life sometimes brings us. Great keyboards and musicianship fill the song as Selah’s deep lyrics request change, refusing to sit back and take it. Baglo’s electric guitar solo is one of the best on the album, well worth the price of admission. I Follow You is another powerful lyrical song with deep emotions at its core. Selah’s vocals reflect these deep seated feelings and struggles with some of the difficulties maturing adults face each day; “And everyone says I need help. I wish I knew how to hold my ground. I follow you”. Baglo’s guitar solos and bass work set him apart from many artists, his drumming is also perfectly timed. Breath is another great relationship song full of lyrics that describe everyday challenges and how to “fight fire with gasoline”. Selah sings about “walking through webs you have spun and walking through a war zone”, it is all about coping and being patient through the hard times, with great music supporting. Not Like You closes the album with soft vocals from Selah, along with cool piano, electric and acoustic guitar echoing. Another wonderful reflection song, full of emotion as Selah sings about “The longing for a realization”. This was a wonderful surprise to find, very different from anything you will hear this year. Give this band a chance, I think we will be hearing more from them in the future.